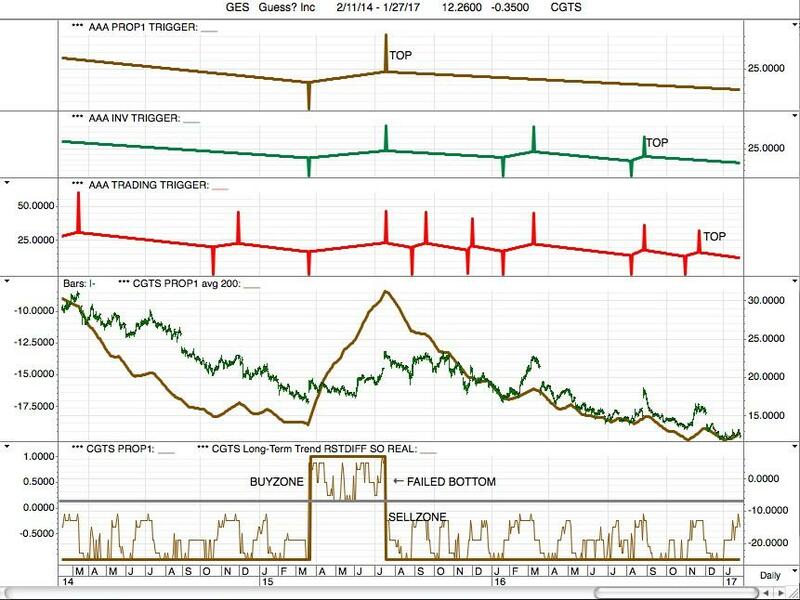 "GUESS HAS BOTTOMED" -- IS IT SCIENCE, OF A "FEELING"
"GUESS HAS BOTTOM" -- HAS IT? Jan. 27, 2017 4:59 PM ET•GES•Comment! WHEN a writer writes "GUESS HAS BOTTOM" (or any stock for that matter) -- is that a scientific statement or just a 'feeling'? Guess has not bottomed. The picture is quite clear. A stock has not bottomed until it has broken back into the CGTS PROP1 BUYZONE. Guess has not bottomed. This chart is being used to illustrate a discussion I am having on Seeking Alpha.